The Battlefield V Closed Alpha stage has just reached its final day and now this title is ready for the next step. According to DICE, the Open Beta for Battlefield V will go live in the first part of September. The full game is scheduled to launch mid-October for PC, Xbox One, and PlayStation 4. If you are one of those looking for another World War II-focused multiplayer title, then Battlefield V might just be your thing. For now, the 16th installment in the popular Battlefield series is still being tested, and its global release is scheduled for October 19, 2018. This title will be available for Windows, Xbox One, and PlayStation 4. Battlefield V uses the Frostbite 3 engine that made its debut way back in 2013, in Battlefield 4. The game focuses on party-based mechanics and increases realism thanks to many details — the scarcity of resources, for example — but it also promises to deliver a set of interesting World War II stories that can be completed in a single player mode. Unlike the previous Battlefield games, the upcoming Battlefield V will come with playable female characters. Obviously, a "battle royale" mode will also be included. 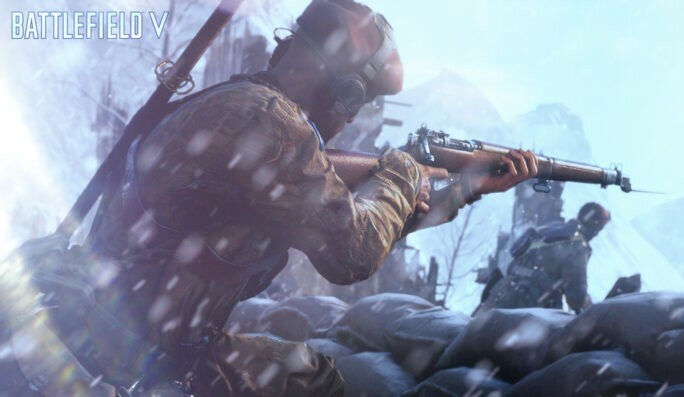 Alongside this popular game mode, Battlefield V will include two other ones: Grand Operations (an expansion of the similar mode that made its debut in Battlefield 1) and Tides of War. If you are one of the lucky ones who were a part of the Battlefield V Closed Alpha, it would be great if you could share a few thoughts with us in the comments. As long as they are not covered by some NDA that you signed, of course.